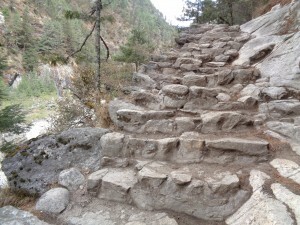 My 17th Trek to Everest Base Camp was interesting. After making the journey to Everest 19 times and leading 17 treks to Everest Base Camp. 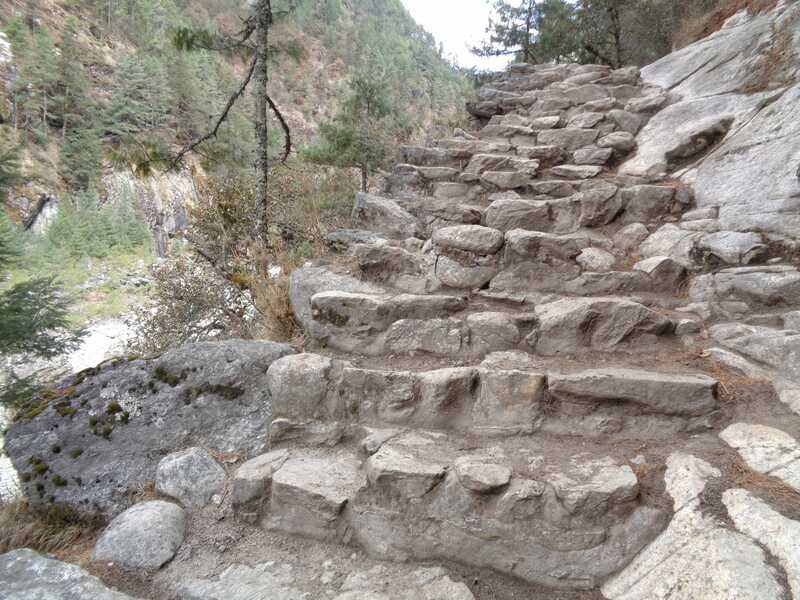 I always say no Everest base camp trek is the same, adapting to the lack of oxygen can vary from trip to trip. This means coming in excellent physical shape with a strong immune system and taking supplemental vitamins to keep sickness at an arms length. Excellent acclimatization, hydration, physical strength all play a big part in this. 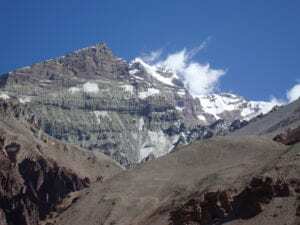 I was reminded on my recent trek to base camp that living at altitude above 4,500m is much harder than living at altitudes between 2,500m to 4,500m. It is so important to have 3 nights sleeping at 3,500m/ 11,500 feet in Namche Bazaar before moving higher. Acclimatize well lower down and limit the risk of serious altitude sickness. higher up. Here are some links to some important information that will help you on your way. 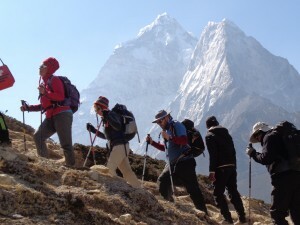 You can CLICK HERE and read more links and information for trekking to Everest. We are always happy to help people signed up to our treks so feel free to CONTACT US at any stage and we are happy to answer any questions you may have. We relay on people coming with the right training and preparation. 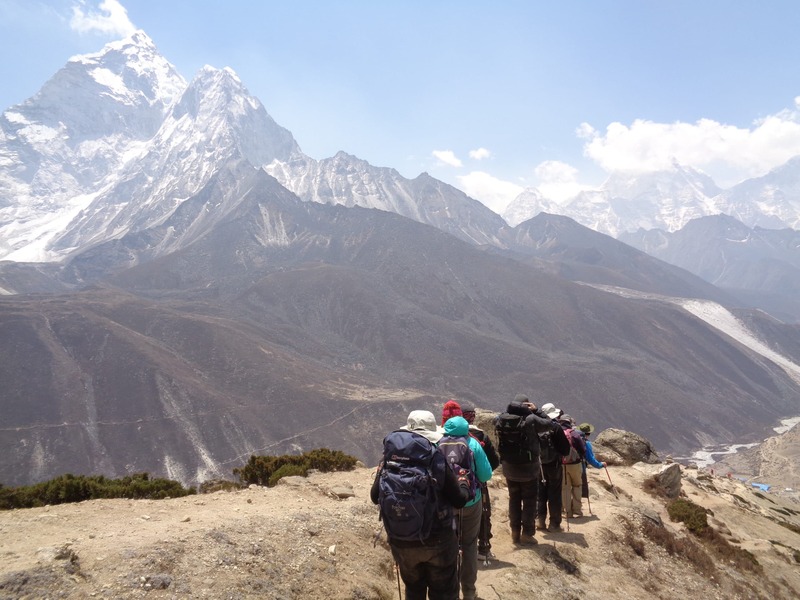 We have so much information available on our website helping give quality information to our trekkers. We have video, content and available 5 days a week so you can call us. We want to help you prepare for your trek. Please ask us for and gain from our experience. 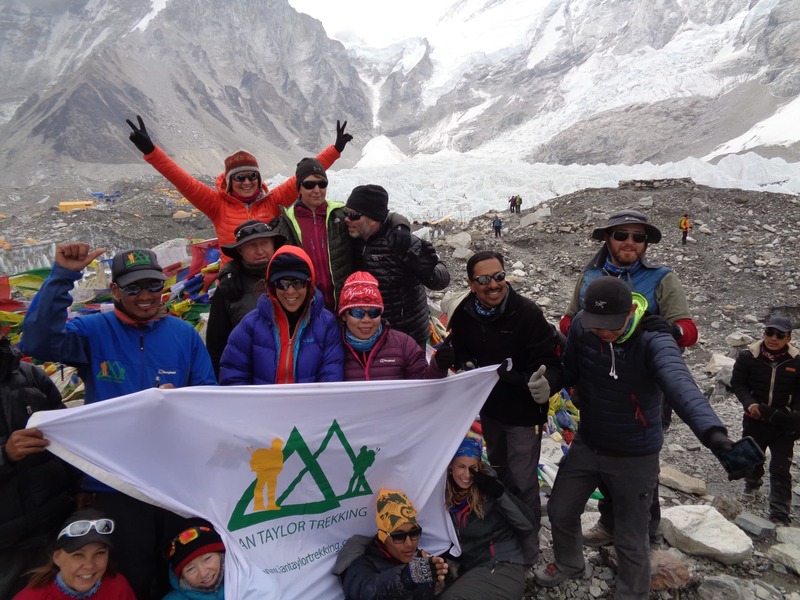 We have lead hundreds of people to achieve this goal of safely reaching Everest base camp and enjoying this special journey to get face to face with Everest. Read some reviews. We require you share your training regime with us, sign off on reading our dossier and information above and if you have been on any mountaineering courses you need to give us the training info, guide and what was covering during the course. 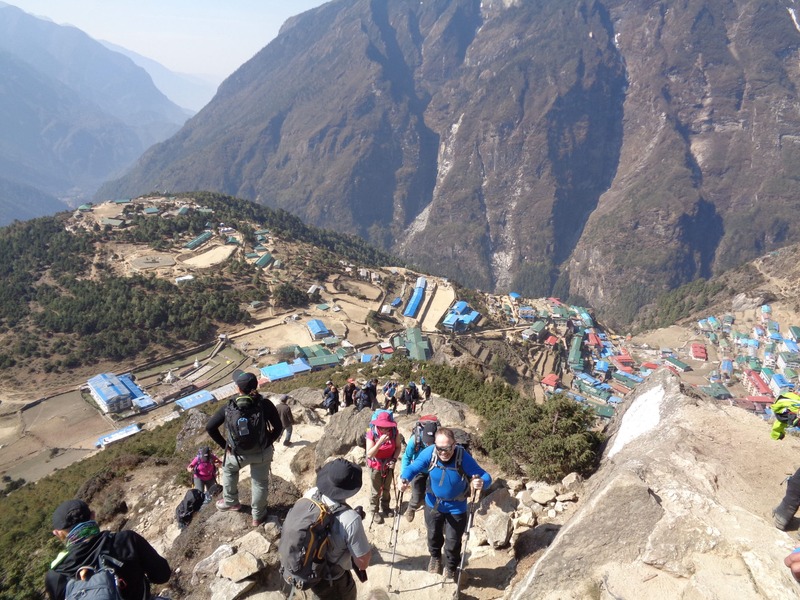 The Everest base camp trek to Kala Phatar at 5,632m/ 18,477 feet is physically and mentally challenging and requires excellent physical strength and conditioning. You need to train, have the right gear. People need to respect this mountain region, other teams members and show up fit, strong and ready to make the journey up and down. I was really impressed with most people who showed up. Plenty of training, understanding of what is involved and preparation was pretty good. We had some people who ignored all the information we sent them and decided to show up with little preparation which is never fair on us, our staff or other team members. The Everest region requires you to walk up and down hill at high and extreme altitude with 30% – 50% less oxygen getting to your muscle. You need to come with the leg strength, strong core, good stability and be used to walking for 5 – 8 hours on even terrain up and down hill. 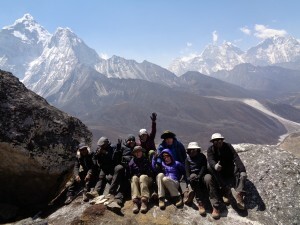 If you need further information READ ABOUT our training advice for Everest base camp. Leading my 17th Trek to Everest Base Camp reminded me that we have a good acclimatization schedule but we need to make sure all participants are coming fully understanding the journey they are about to go on and make sure each person is taking the time to train 5 times a week in the lead up to this amazing trekking adventure.